DCA or, Dollar Cost Averaging is a tool to mitigate potential bags. When selected the hopper will create a new order for the double amount of the total of a currency, when the oldest position is older than the configured amount of time, the percentage trigger triggers and the max number of retries has not been reached. 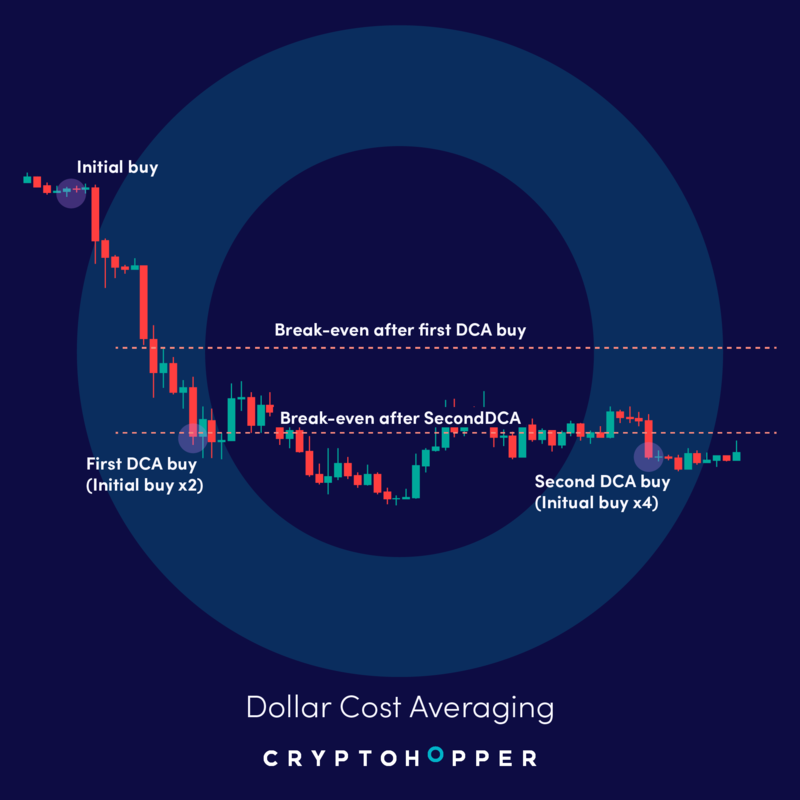 After the DCA order completes, all positions of the currency will be merged and a new weighted average price is calculated. The new average price will be used for creating the following DCA order. When a DCA position is being sold, the max number of retries count will reset. The maximum of DCA orders that may be created for a specific coin. The count is resetted after every successfull sell of a DCA order. Are you experiencing any problems with DCA? Here are some questions to help you resolve most issues with DCA. Do you have enough allocated amount (BTC) to double or triple up? Is the hopper enabled? Is buying enabled? Has the configured time passed? If so, is the percentage (%) loss hit? Do you have a config pool enabled? Maybe you have different settings in your config pool. Do you have triggers that disable buying? If not buying immediately, was there a signal from your strategy for the currency?